By far the most frustrating part of losing weight is gaining weight. I suspect this is due to bloating because shark week is eminent, but still- frustrating. I just have to remember to keep tracking because the numbers will go down, they just may go up some in the process. This week my goal is to focus on lowering my carb intake. I don’t want to go on a low carb diet per say, but I really need to keep a closer watch on my carbs for the metformin I’m on for pcos to be effective. I was planning on cooking for Thanksgiving, but so many restaurants in the Birmingham area are open that day that I think it may be a better option for us this year. Then I can really control what’s on my plate and there will be no endless snacking afterwards. I haven’t talked to Matt about that yet, but I’m hoping he’s on board. The best thanksgiving ever was the one in Atlanta that we went to Maggiano’s. No cooking for me and no dishes to do afterwards. – Focus on protein. I’m guilty of having carb heavy (often meatless) dinners on nights that Matt is working. I need to make sure to control my insulin levels by balancing out my meals better. – drink more water. When it’s hot outside, it’s easy for me to chug water nonstop. When it’s chilly like it has been now, it’s a little bit harder. I’m going to try to drink less tea and more water. Although I’m loving Trader Joe’s Candy Cane Green Tea. – move more. We’ve been taking long walks, but I need to get back into some kind of workout schedule again. I’m a firm believer in doing what you love and I love yoga and Pilates, so that’s what I’ll do. 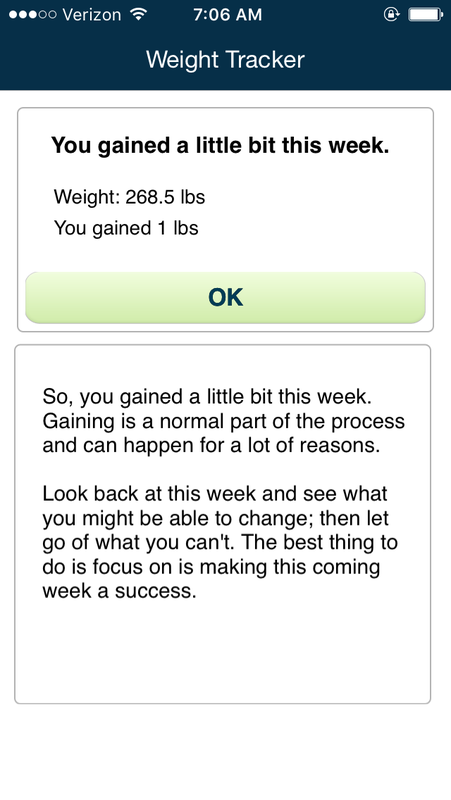 I know that gaining is part of the process. I’ll just keep on pushing through. Operation “We’re moving again!” has begun, and so has the packing. We’re moving less than a mile away so it won’t be too bad. But gah, moving is the worst. This entry was posted in Uncategorized and tagged fertility, infertility, life, pcos, points plus, tracking, weigh in, weight watchers. Bookmark the permalink.